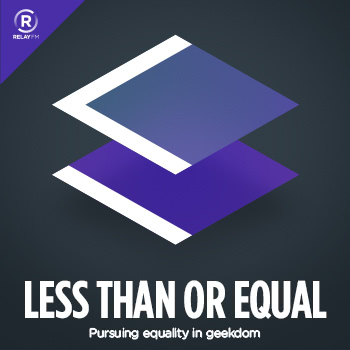 Kronda and Aleen talk about working in the tech field, the Ascend Project, equality getting a foothold, and the pros of starting your own business. Anna and Aleen talk about writing for games and diversity in the gaming industry. Greg Thomas and Aleen talk about racism, how it compares to sexism, and increasing diversity in tech. Aleen's channeling John Green's Mental Floss videos! Talking fast and throwing down information about 12 black technology and science pioneers you may have never learned about. Ashe and Aleen talk about ways people and companies can deal with marginalization, AlterConf, and classism. Adriel and Aleen talk about game jams (including Train Jam), Game a Week, game development, and the power of the Internet. Episode o' followup, where Aleen reflects on some feedback she's received and on her first two interviews. Julie Horvath and Aleen talk about Passion Projects, the monoculture in tech, and defying expectations. Brianna Wu and Aleen talk about the soon-to-be released Revolution 60, finding a voice in the tech industry, and sexism in gaming. Aleen and Justin talk about what the show is, what its goals are, and how we hope to achieve them.